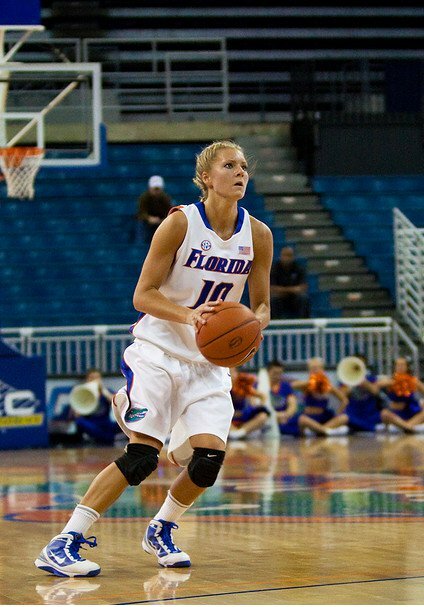 Steffi Sorenson is a former basketball player at the University of Florida who also played pro ball in Europe. 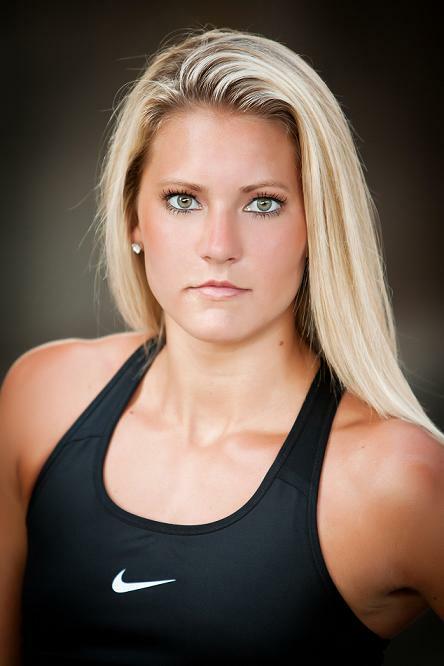 She is now a color analyst with ESPN3, personal trainer and fitness model that has been featured in sports commercials for Gatorade, Omega, and a Wondercore infomercial. She sat down to talk with us. Having an older brother (17 months older) who was active from a very young age played a huge role in me beginning basketball. My mother told me that I began walking at the age of 7 ½ months, and she said I would follow my brother everywhere, including onto the court of his basketball games! So, when I was 4 years old my mother persuaded a camp director to let me into the camp even though the cut off age was six, which is how old my brother was, and they let me in and the rest is history. How was the switch from basketball to fitness? My oh my what a change in training regimen’s and dieting! Having been a professional and collegiate basketball player I would try to watch what I ate but I knew at the end of the day I was going to be running around for 3 hours a day burning a lot of calories so im sure a lot of student athletes that played in college can attest to pretty much eating whatever we wanted. I would almost dread the conditioning and lifting sessions because it was always so mundane or boring, the same or not very individualized. And, I mean no disrespect to my strength coaches throughout my years of training and playing, but a training plan specifically tailored to one person is far more beneficial than a general plan for every player to do because bottom line every one’s body is different. My freshman year of college I was barely able to bench 75lbs for 12 reps. Now two years into more fitness and very specific training and dieting plans I have max’ed out at 170lbs within the past week, and for a 135lb female that is fairly good. Conditioning and being in shape was never a concern during season because that was handled by our coaches, so, when you’re on your own, as I am training today, you have to be extremely self motivated to condition yourself and challenge yourself to be better because you are ultimately your own strength coach. No one is handing you a weight lifting plan anymore, you have to make your own plan. Lastly, diet. Oh, when you mention the word diet to anyone and they see you’re in shape, I have never seen such dirty looks! Dieting is what fuels the body, I no longer eat “whatever I want.” That is the hardest adjustment, because if I had known what I do today about eating healthier foods I feel as if I could have performed at a higher level. What kind of an influence has your basketball background had on the way you train? I won’t even lie; people at my gym probably think I’m crazy. The lifts I do, or weight I perform probably seems a bit extreme at my local gym. However, being an athlete throughout college these routines or lifts were regular, no one ever looked at you funny. We all lifted in strength rooms isolated from others, we (females) didn’t shy away from heavy weights or Olympic lifts. That being said when I began training at my local gym I didn’t change or shy away from pushing myself to the maximum or alter my mindset. I was still very motivated, very much into challenging myself in every way possible and for that I think that’s a big reason why, the manager of the gym decided to bring me on board as a trainer there because he noticed the hard work I would showcase at the gym. And, I can honestly say once you are an athlete that competitive spirit never truly goes away, it is always burning within us. 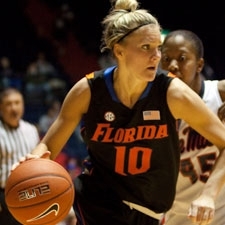 Did your basketball teams do much in the way of weight training? 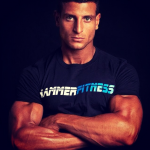 The biggest difference now in my weight training and the training I performed in college is almost night/day. For basketball players, summer workouts are the hardest workouts to get through. We lift 3 times a week, condition sometimes once or twice a day. We become stronger in the summer and then season comes in the fall and we almost entirely wipe out lifting because the toll games take on player’s body. We would do light circuit training maybe twice a week, and sometimes if you played a lot of minutes you wouldn’t even have to lift…that being said, as a relatively thin person, I would lose my muscle very quickly which affected my explosiveness and strength on the court. Now my weight training is 5 times a week built around strength/power/ and speed. Three things I wish I could have been better at back when I was competing at a higher level. But things I am now discovering are capable to achieve with the right amount of dedication and preparation. Can you give us a sample of your routine nowadays? 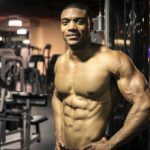 As I began getting into more body building and fitness routines I noticed that most broke down one body part per day, an entirely foreign and new concept to me. I started out doing that, chest Mondays, back Tuesdays, you name it, I tried it. Did I see gains, yes but it wasn’t the right plan for me. So about 4 months ago I have altered my workout regimen to legs Monday, chest/back/tri’s Tuesdays, shoulders/biceps weds, legs thurs, and chest/back/tri’s on friday. I try to do at least one explosive dynamic lift each day, for example, hang cleans, dead lifts, hang clean front squats, hang clean push jerk. 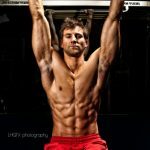 Can you tell I’m a big believer in hang cleans? I try to stick to fewer reps, more sets. I don’t necessarily do anything tricky for lifting: just, strong lifts and being powerful and explosive. It is however, my cardio, that has completely changed my physique. I figured running 3-4 miles meant being in shape. What I didn’t realize was that each more mile I tacked on was destroying all of the muscle I was working so hard to put on to my thin frame. My cardio training varies from day to day, it can range anywhere from sprints, running stadiums, pushing sleds, boxing, flipping tires, even pushing golf carts…you name it I will try it. I love the idea of doing extreme things that really make me push myself. I train today not to look as if I am a body builder, but to look as if I am still an athlete, because I train like an athlete each and every day. Music to me is not a big deal, it’s not a necessity, but if we are getting specific here I love dub step, rock, rap, and even a little pop mainstream music to get me going. I think anything with a good beat is great to provide a little energy for you at the gym. I mean…who doesn’t have a little spice girls on their ipod, cmon’ I know you’re all guilty…okay maybe just me. I’m a firm believer in the paleo diet. Fruits, Vegetables, Eggs, Meat, and the occasional whole grains. Because I train at a high level I have to consume carbs throughout my day mainly before my lifting and cardio exercises. I don’t count my calories, but I do make sure my protein to carb ratios are proper for the type of training I have going on that day. Sprinting is the best cardio exercise for the body. If you’re able to do it, do it. 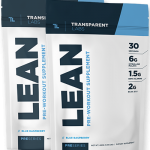 It melts away fat, it leans you out, and makes your muscles look more defined. I also like to throw in some strength conditioning like tire flipping/rope swings, boxing, pushing sleds. Those test not only physical endurance but mental toughness and I like the sound of that! Tell us about your biggest athletic influence? the single biggest influence is the fact I know that I have to work 10 x’s harder than most because by nature I have a thin frame so to put on any size I have to lift heavy and be able to find the motivation every single day to really make a difference in my physique. Cereal. I have a very fast metabolism so before bed; I do eat one to two bowls of cereal to get me through the night. BPI Sports Build HD creatine, BPI Sports Silk Amino Acids, Taurine, and Beta Alaine before I lift, and a standard whey protein powder at least once a day. 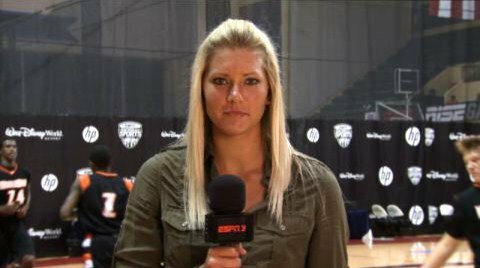 Well, I certainly enjoy training others as well as training hard in the gym personally, however, I do enjoy sports broadcasting which is what I began doing for ESPN3 when I graduated from the University of Florida in 2010. 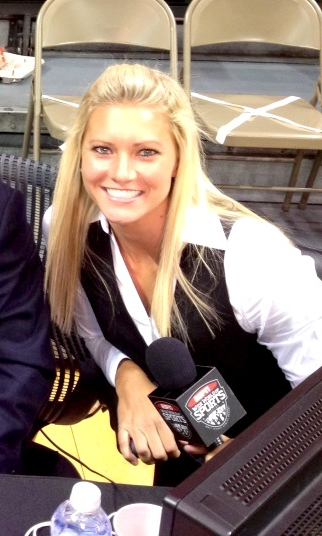 Being a color analyst for women’s college basketball is a fun and entertaining job, but since it’s not full time. 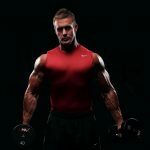 I am working with a media company to put together my own website of the various services ranging from TV, modeling, being a spokesperson, and even fitness commercials that I can do to help companies and I hope and think my website will be a tremendous tool to have a successful career in ultimately helping and educating others in many different aspects. That website will be www.steffisorensen.com! Thanks J.